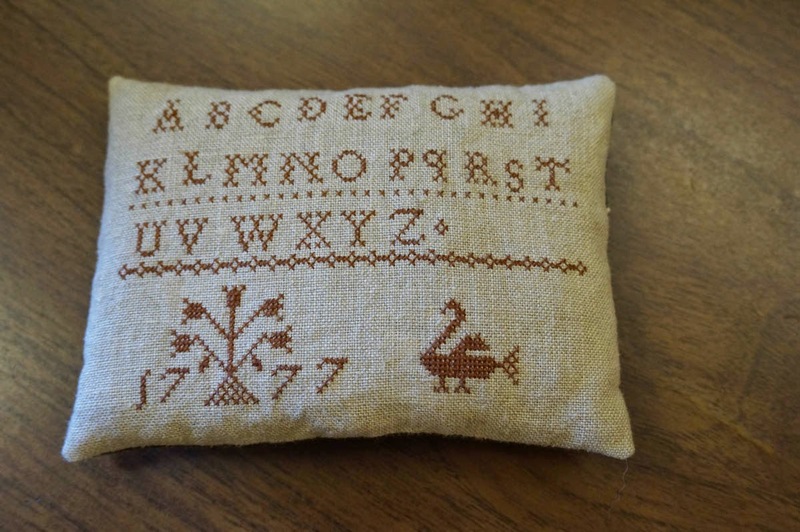 Do you remember when you started a new hobby and you couldn't wait to do the next project. You had a obsession with a new craft which occupied your spare thoughts.You would lie in bed not able to sleep trying to sort out what project you would start next ! Sometimes passions die you loved to do something and then like a bright candle your all candle wax.Maybe it's just hard to hook when it's ninety degrees maybe its abnormal or it's just me.Am I the only one that has a hard time being motivated in the hot summer? But then Thank God I got my passion back all it took was a cooler place. 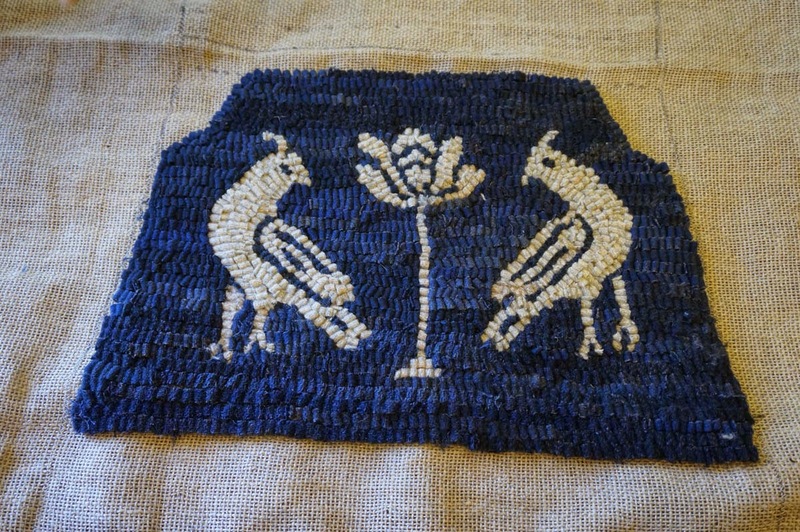 I discovered a new pattern and decided while visiting my daughter to work on my rug hooking. It was extremely nice being in a cool totally air conditioned home! I decided if I can watch Dino Dan and kid programs Little Jack could watch me hook a little bit. I would tell the little guy I am taking a pit stop. So I was able to enjoy my rug hooking and play with Jack between pit stops plus we are doing Nana preschool this summer .Were both happy and I am getting some hooking done. This is a fancy cutter a lady brought in Wow! Little Jack informed me Good Job Nana on my hooked chicken I am making.So as I drove back to Crest I could hardly wait to run to the Country loft and get the wool's for the rest of my hooked rug. Since the last rug was so dark I am doing a totally different rug it's lighter and I love it . 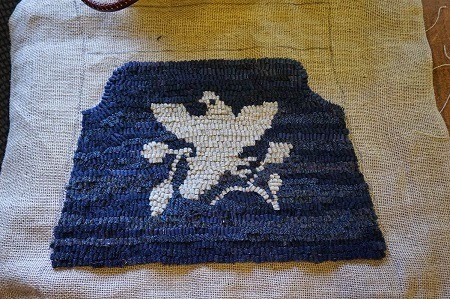 I still have to bind the last rug and I am hoping to do that this Labor day weekend. 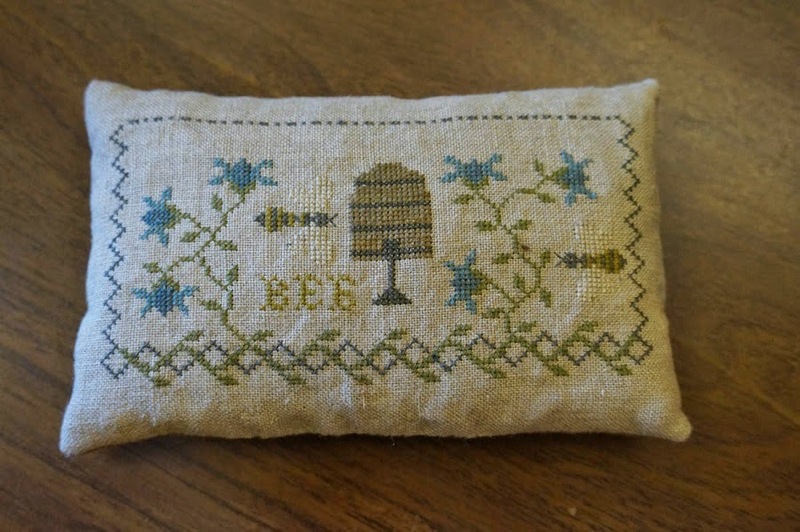 Janet started to teach a group of her daughters friends to rug hook so she was showing them what she had made. 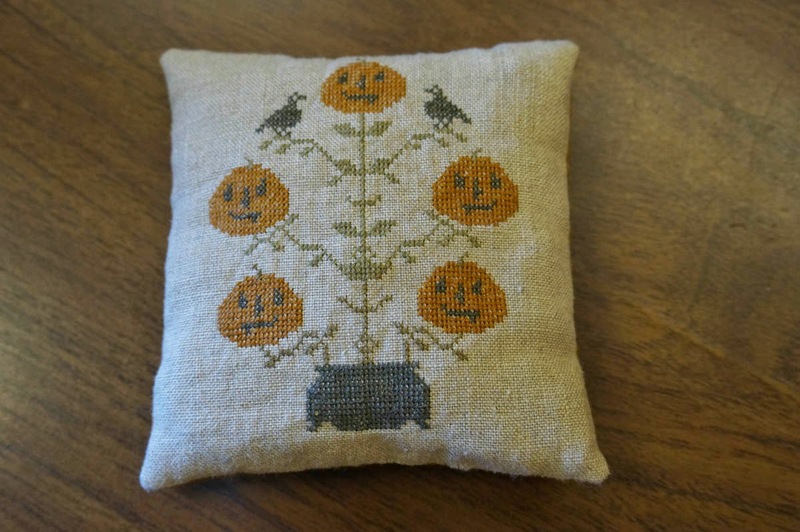 The weeks are flying by and I can hardly wait til it cools down and it's fall. I am super busy baby sitting little Jack and catching up with my projects. This week I am trying to cut back a over grown climbing rose because the old sprinkler finally broke. I need to crawl under the rose branches to find where the leak it is a job! I have been waiting til the evening when it cools down to prune back the over grown Cecile Brunner climber. Looking back at my teen years I realize now how as a kid you never realize how busy life will become. The summer of my junior year of high school I can remember regretfully how foolish I was to have not enjoyed fully the summer of driving to La Jolla shores all the time! My girlfriends and I were on a mission to go to the beach at least a couple times a week that summer.As long as we could all chip in gas money we would pile into someones car and off we went.That summer we were always trying to look bored and mature.We were such silly girls.We always drove to La Jolla shores never Mission or Pacific Beach .La Jolla was such a beautiful beach but had lots of rip tides so you had to be careful in the water. Once we were in La Jolla The gals would spread out one by one and lay out like a bunch of harbor seals in a circle with Julie the hot bod teen as designated queen bee. The girls were obsessed trying to get the perfect tan which meant they were always laying out and baking their faces in the hot summer sun. Every where we went that summer they had to layout even if it was just someones backyard.We would all read glamour magazines and be fighting over Victoria Holt and Daphne du Maurier Gothic romances. Leslie and I would munch on of all things cottage cheese and Frito's reading away the day. Those silly girls would put baby oil all over their bodies like buttered toast which I am sure wasn't the smartest thing to do. I already had a olive complexion I didn't need to layout! I was the one who just couldn't get with the program. I seemed like the only one of my friends in the waves whenever we went to La Jolla. My then girlfriends didn't want to step in the ocean because of the baby oil slathered all over their white bodies.That summer in high school was the carefree days of youth no responsibility . I had no way of knowing how busy life would become. Years later instead of playing in the surf I am wiping a runny nose from a grandson and wondering how did my life go by so fast. I am needed by so many and totally enjoy the simple act of just being home reading a murder mystery and having a sip of ice tea.Instead of a Gothic romance with the girl running thru the old castle in fear from the brooding master with anger issues.Today Gothic romances are vampire love stories. Now a days I am reading murder mysteries by Anne Perry and enjoying my iPad where I can get books from the library when ever I want.I am still a reader which is my biggest passion and now when I drive down near the beach its to just look at that amazing Pacific ocean while I drive to a plant nursery. Life is such a journey I only wish I had really not taken those days for granted. They were so blissfully carefree! I have been busy rug hooking and I am almost done with my little rug.Little Jack has a cold and so he is a little booger boy! Being a Nana is like reliving your young mom days it all comes back to you. It was my first quilt! Summer what can I say I am tired of this relentless humidity in Southern California. I have been so busy that alas I have been a bad blogger.No matter how much I water everything looks terrible. I seemed to have computer problems all month first I dropped my computer and then I changed tables around and the screen wouldn't turn on. Apparently when I moved the computer I didn't hook up everything right. It was a simple thing all it took was plugging it up again which my son in law saw immediately yesterday when he came to pick up little Jack. The look he gave me when he saw the problem was priceless. This month was nuts talk about stress.Where do I begin little Jack is three and for some reason he felt the need to stick a penny in his mouth well it wasn't a penny but a nickle. I guess it tasted good and thank God I wasn't there when it happened So one trip to the ER then because the doctor didn't like the way it looked after the Xray a trip by ambulance to Children's hospital in the middle of the night. Needless to say hubby and I was driving up to Megan's 1200 at night since my daughter could not go to the hospital with Jack. My daughter is having a round of Iv this month which lowers her immune system similar to chemo which makes her real sick.Little Jack stayed the night at Children's hospital with Dad and Sunday he was back home. Fruit loops stickers and nice nurses and something to make him poop the nickle out he was back home again. I asked him about his adventure and he told me he had fun!